After months of discussion on the topic, Omaha City Council voted to shorten the Fourth of July fireworks "season" to three days. The city cut the number of vendor permits from 50 to 40. Fireworks will only be sold from June 28th to July fourth, and they can only be used between July second and fourth. "The number of days is too many to sell, too many days to fire them off and that's one reason why we are doing this,” said council member Rich Pahls. While the City Council unanimously voted to approve these measures, council member Aimee Melton says while these changes may make the fourth less stressful for pets and veterans, they may cause more problems for police. "I think what we are gonna see is an increase in calls to the Omaha Police to the point where people are gonna be complaining that the police aren't responding,” she said, "there are some serious safety issues that I think could be caused by having that influx of calls." Melton says that the issue is not resolved yet and there is still work that needs to be done. “We're probably gonna have to come up with some sort of education for the public that I don't believe is in our budget,” she said. Other council members agree the sale and use of fireworks will continue to be an issue due to surrounding communities with longer periods. "As long as the communities that surround us are gonna stick with what they have which is not matching what we have it's tough to enforce this,” said council member, Vinny Palermo. They say leading up to the fourth of July new policies related to these new laws will have to be discussed. 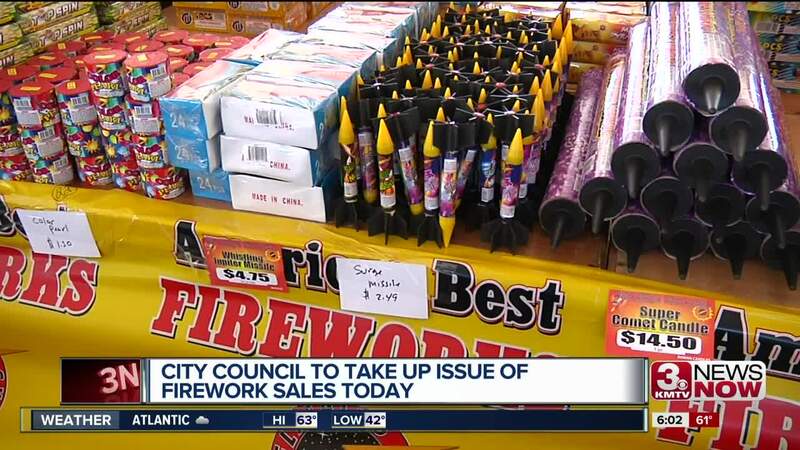 “No matter how you tailor the three days or the sales period, frankly anything else around a fireworks ordinance, unfortunately, it will be an ongoing challenge,” said council member, Pete Festersen. Tuesday's vote reduced that span to three days: from noon to 11 p.m. July 2-4. New Year's fireworks will also be permitted from 5 p.m. Dec. 31 to 1 a.m. Jan. 1. Stothert said she appreciated the council's support and encouraged them to extend limitations to fireworks sales, too. "The City Council's action in response to overwhelming public concern about fireworks is necessary and appropriate," the mayor said. 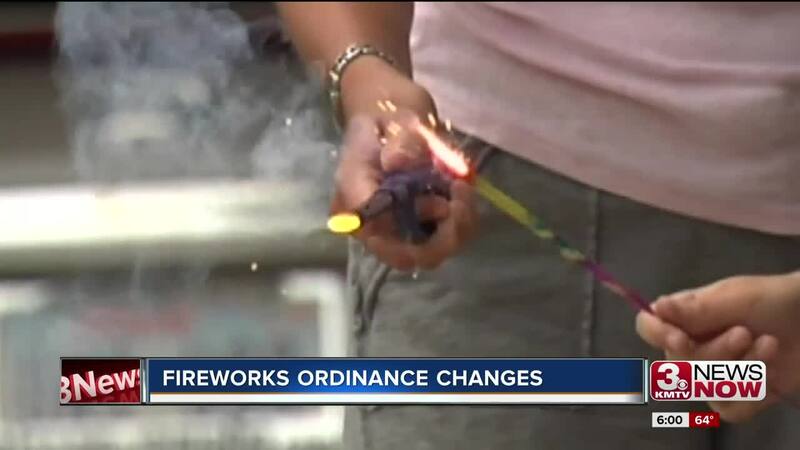 "I appreciate the Council's willingness to support the changes I proposed and take additional steps to limit fireworks sales and use while maintaining our Independence Day celebrations." 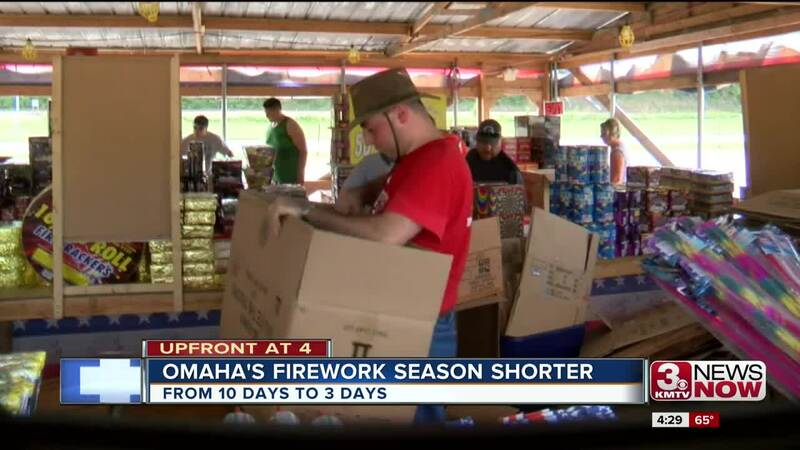 The reduced sales time could affect some local non-profits who use firework sales as a form of fundraising.